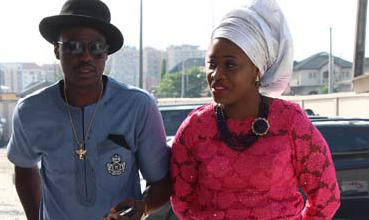 Singer, Sound Sultan, has been married to his sweetheart, Chichi Morah, since October 1, 2009, and their marriage has been waxing stronger ever since. At a time when some celebrities’ marriage lasts for a couple of months, the Bushmeat singer has been able to maintain a peaceful marriage and he shared some of his secrets with Saturday Beats. He said he is a very lucky man to have married a wife who does not like to be in the limelight as he blamed the social media for most of the marriage break-ups happening in the entertainment industry. “No marriage is perfect just like you have feuds in families and they settle within themselves. It is the people that you are closest to that get you angry the most compared to people that you probably see once in a week because you don’t live with the person so you cannot truly know the person’s character. If you have a family member that you think you do not see eye to eye, they are the ones that have your back. At the end of the day, you need to understand the concept of family before you make a decision or make a spectacle of whatever you have going on in your life. “Social media has been responsible for a lot of marriage and relationship break-ups. I have a song that speaks on this sort of thing. I am always online everyday just like every other person but the truth is that you do not know who is praying for you and those who do not want you to exist. “My wife does not even like the limelight at all. If she is at an event with me, you would not even know she is my wife, you would just see her as one of the guests with the way she would blend with people. Without me taking all the glory, I think that has helped my marriage,” he said. The singer advised both his friends, fans and family to stop trying to impress strangers because it could be a pitfall.